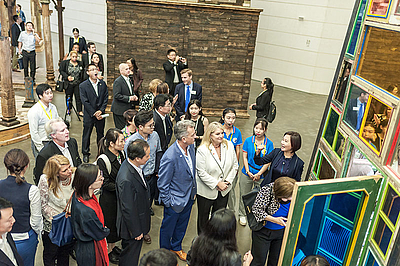 Rundgang durch die Ausstellung im MoCA Yinchuan u.a. mit Installationen im Außenraum sowie Aufnahmen vom Aufbau und den Events. Biennales and triennales are often seen as periodical international celebrations held by cities and contemporary art that can bring change to the cultural landscape of a city. Not only do these events give local residents an opportunity to see contemporary art from around the world, they also put the city on the global art map. 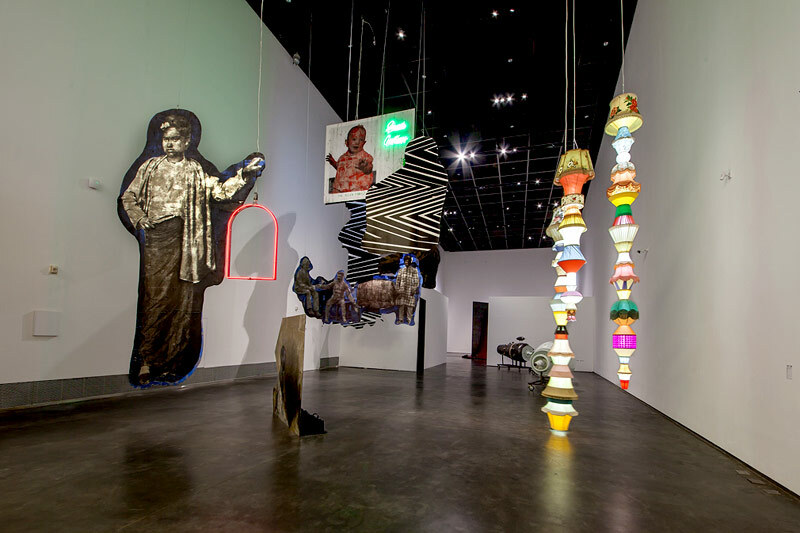 The first Yinchuan Biennale, titled For an Image, Faster than Light, curated by famous international artist and curator Bose Krishnamachari, and inviting 73 artists from 33 countries, brings outstanding international art to MoCA Yinchuan from 10 September - 18 December 2016. 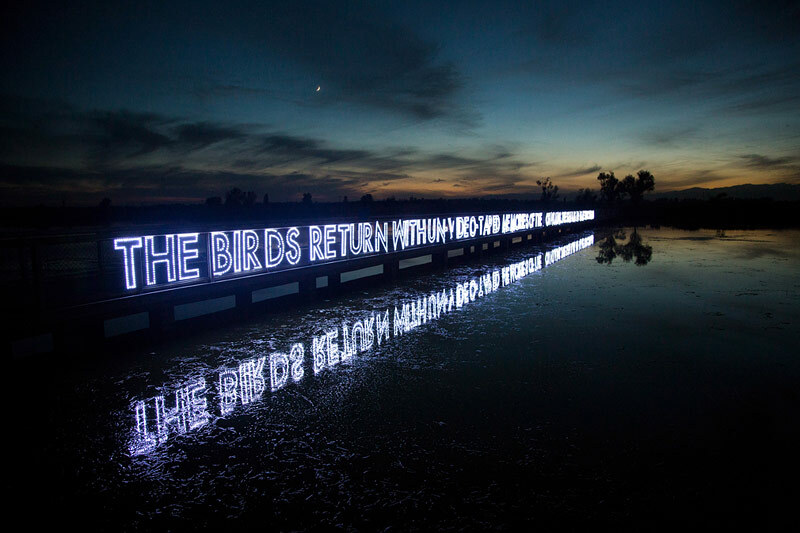 The title of this biennale, For an Image, Faster than Light, aims to reveal the myriad conflicts facing the world today, and to convey constructive possibilities and ideas through a concentration of global creativity, presenting the creations of contemporary artists from the four corners of the globe, in video, installation, photography, painting and sculpture, to respond to the shifting and destructive issues we face in society, politics and the environment. The symposium The Gates of the Sun — Between the Mountains and Waters, held on September 10th and 11th, invited 25 artists, curators, critics and scholars to engage in an in-depth discussion of the themes of the exhibition and explore creativity in contemporary art, the dynamic nature of society, and the broad range of connections between them. 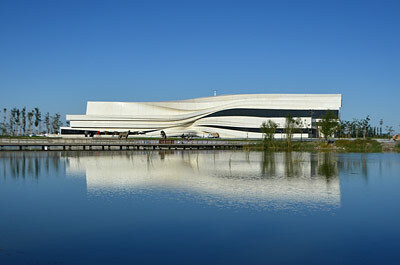 It is a much greater challenge to hold such an international exhibition in the northwest than in China’s major cities. It is difficult to bring the various aspects, from funding to installation, shipping, invitations and promotions, to an international level in a place such as Yinchuan. 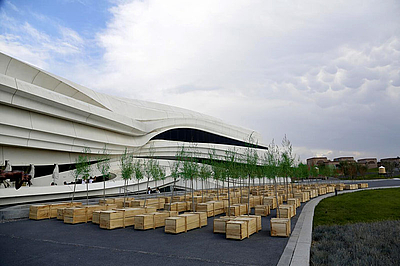 Since it first opened its doors, MOCA Yinchuan has taken on the task of promoting the image of the city of Yinchuan, but more importantly, it has worked to spread contemporary art in the lives and hearts of the people. 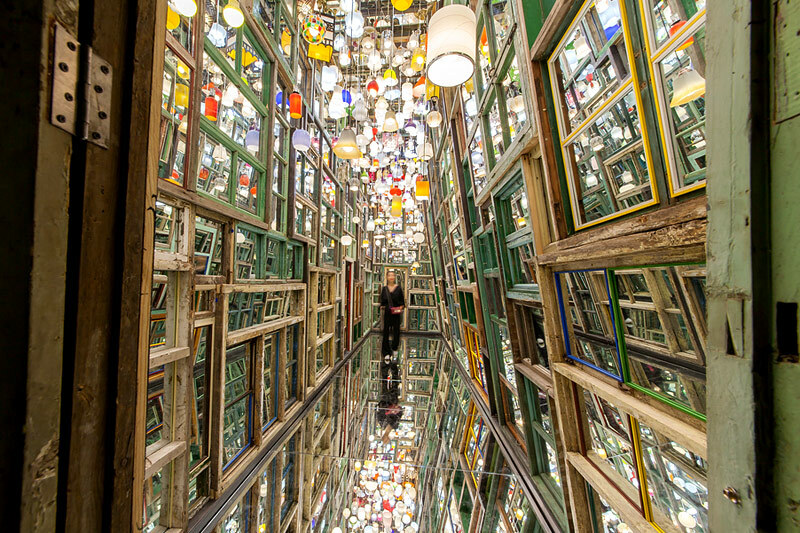 Every city needs museums to help cultivate the cultural character of its residents. Art can change and elevate a person’s thinking, perceptions, emotions, awareness and worldview, and thus catalyze the development and rise of the entire city. 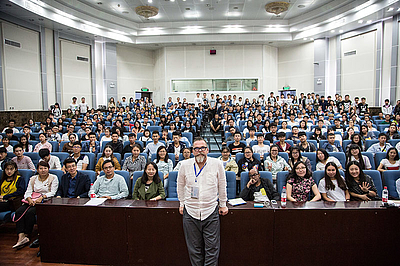 The Yinchuan Biennale is an unprecedented fête of international artists. The long list of participating artists includes: Anish Kapoor, Yoko Ono, Liam Gillick, Mary Ellen Carroll, Liu Wei, Cao Fei, Ivan Navarro, Santiago Sierra, Slavs and Tartars, Song Dong, and latest BMW Art Journey winner Abigail Reynolds. 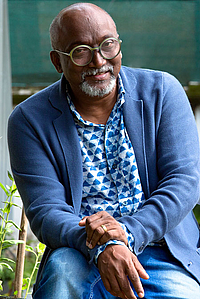 Meanwhile, Sudarshan Shetty, curator of the Kochi-Muziris Biennale in India, is taking part as well. The exhibition also features the talented young artists Alaa Mahmoud Alqedra from Sharjah, Kartik Sood from India, Farzana Ahmed Urmi from Bangladesh, alongside Sushanta Kumar Maharana, an Indian artist with a fondness for interpreting nature’s energy through wood, 2016 Abraaj Group Art Prize award-winners Basel Abbas & Ruanne Abou-Rahme, mysterious wandering artist Khaled Sabsabi, Pacific explorer Lisa Reihana, Yee I-Lann, who uses the language of the body to express emotions, and Joana Hadjithomas & Khalil Joreige. 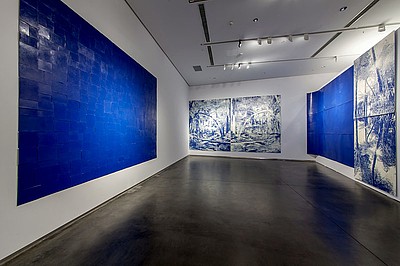 MOCA Yinchuan will lead audiences into a broader field of vision to glimpse the mysteries of contemporary art. The exhibition will be on view until December 18th. The biennale held a cultural event presenting the ideas behind exhibition design with an artist talk by Allard van Hoorn, and a series of rich public education events, as well as a music festival and lectures on September 16th and 17th presenting audiences with a rich celebration of culture, life and creativity. The first Yinchuan Biennale, “For an Image, Faster than Light” is hosted by MoCA Yinchuan and the Yinchuan Binhe New District Investment Group, with guidance from the Information Department of the Ningxia Hui Autonomous Region Party Council, the Cultural Office of the Ningxia Hui Autonomous Region, the Yinchuan Binhe New District Management Commission, the Yinchuan Information Office, and the Yinchuan Municipal Office of News, Publications, Radio and Television. Support for the biennale comes from Ningxia Minsheng Group, Ningxia Huaxia Hetu Cultural Tourism Management Company, with funding from the Ningxia Minsheng Cultural Education Foundation.